Q. 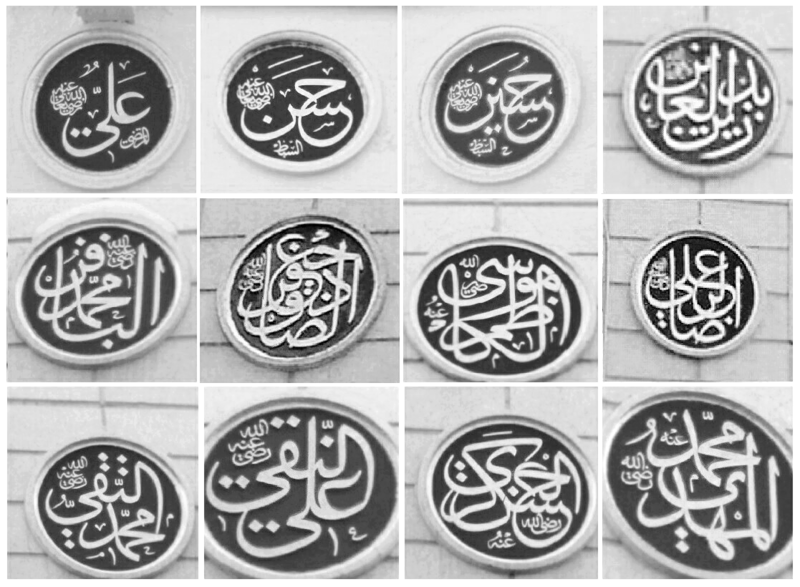 In your opinion, what is the best way to follow the Twelve Imams of Ahl al-Bayt? A. In my opinion, there is only one way to follow the Twelve Imams – the way they adopted and demonstrated. That is the way of finding and following authorized ones among their descendants and the pledging spiritual allegiance, baiah, through them, directly or indirectly, back to ‘Ali ibn Abi Talib. This is what the Deputies of Imam ‘Ali ‘alaihi salam, Al Abdaal, were tasked with, collecting baiah of the Arabs to ‘Ali and making them follow the law and not become rebels. All Imams followed this path and collected pledges to ‘Ali ibn Abi Talib. Imam Mahdi ‘alayhi salam will collect the pledges of the Arab people of the last era to ‘Ali as well. This is the meaning of the Ghadir Declaration and why no more Prophets need to come – Wiliyah. The Awliya like venerable Khwaja Moin al-Din Chishti, Khwaja Baha al-Din Shah Naqshband Bukhari, and Ghawth al-Adham Shaykh ‘Abd al-Qadir al-Jilani radiAllahu anhum who descend from the Imams, did the same and established houses called Zawiyas to collect pledges to ‘Ali. Their khalifas do the same until today and it will continue. Hence, every generation has access to the Light of ‘Ali after the era of Prophets transitioned into the era of Wiliyat. Q. Is following the Imams synonymous to following Ja’fari Fiqh? A. Being neither Hanafi/Maliki/Shafii/Hanbali in fiqh nor Ja’fari Fiqh makes one a Sunni or Shia. Political preference and allegiance does. In this sense, the Shia are politically royalists while others republicans. Historically the original “Shia” pledged and called people to pledge to ‘Ali, the King of Men. This can also be seen even in the subsequent generations in the example of Muslim ibn Aqil. Hence, coming back to the question, in my opinion, no, following the Ja’fari madhab is not synonymous to being Shia in the true sense, just as following Hanafi Fiqh did not make the Taliban Sunni. Everything is actually known by its opposite according to Mawlana Shaykh Nazim qadasAllahu sirrahul ‘aziz. By this, the Kingdom of Jordan under the Hashemite monarchy of the House of the Prophet (S) is actually “Shia”, while the ironically democratic “Shia” republic called the Islamic Republic of Iran is in fact really “Sunni”. Q. Is it permissible to follow Ja’fari fiqh and does that bring one closer to the Twelve Imams? A. In regards to the permissibility of following non-Arabs as Mujtahid, and making non-Ishmaelites “Imam” as in the case of Abu Hanifa, technically it is invalid. However, Abu Hanifa did not invent his own madhab nor Fiqh, hence following his tradition, not him personally, is valid. He is a documented student of the fifth and sixth Imams and had Ijazah from them. He is the senior most among the Fuqaha for Sunnis, and as such, among Ahlus Sunnah, he is Imam al-Adham. However, Shia Mujtahids who rejected our first three Rashidun Caliphs also had Ijazahs from the Imams as well and gave legal rulings. Hence, following of both our Sunni Fiqh as well as alternatively the Shia Ithna Ashari and al-Shia Zaidiyya Fiqh is valid according to Al Azhar. This is also my opinion. In the past, this Al Azhar Fatwa was posted on Sunnah.org as well. In fact, I read it first on Sunnah.org via a Osmanli Naqshbandi forum. I am not certain if it still appears there today, here is the link, http://sunnah.org/history/fatwa_ashar_shia.htm. Q. Is it permissible to read the hadith of the Ithna Ashari? How can one get closer to the Imams? A. A. Obviously, for Muslims who follow that school, it is valid, since following their Fiqh is permissible according to both the Al Azhar Fatwa cited above as well as more recent pronouncements of Ulema like the Amman Message, acknowledging both the Wahhabis and the Ithna Ashari valid Muslim schools. Hence, for such Muslims, reading the source for the Fiqh of their school is also naturally permissible in the view of Ahlus Sunnah Wal Jama’at. I do not subscribe to religious bigotism. B. To get closer to the Imams, love Islam, love Arabs, love the Quraysh, love the Hashemites, love the Ahl al-Bayt and be brave in talking about their central status in Ihsan, one third of the religion, and take initiation to a Sufic line of the Twelve Imams directly or indirectly through their descendants or authorized representatives. These representatives live in each era. Mawlana made me one of those who have a live connection to the Imams and can connect people to them. I am not saying follow me, rather informing you there are people who can connect us to the Imams in each era. My permission came from Mawlana, not me. 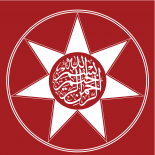 To you I say, like Evangelicals deem the Eurasian and European non-Middle Eastern population in Old Palestine as the ‘chosen people’, we deem Arabs – Adnanites from the Quraysh – Hashemites of Fatimid nasab to be chosen people and the people of the Covenant of Abraham so as long as they are upright. If you want power from that covenant, you must connect to it through the Arabs, or people of Arab lineage. This entry was posted on August 4, 2015 by ASFC in Uncategorized and tagged Al Azhar Fatwa, Amman Message, Hanafi Fiqh, islam, Jafari Fiqh, love, Madhabs, sayyid amiruddin, shaykh nazim, Shia, Sunni, Wiliyat.